Mixed use? It has mixed use. A functioning downtown. Small, but there. I mean, I agree that 100% workforce housing may not be the best route, and I certainly have no love for freeway-proximate non-mixed use apartments (30 miles from downtown in the middle of a corn field). But there is some (if slight) potential here. There is a kinda-grid evolving directly to the west with single family homes (proximate income mixing). There's a transit station right there (which is better than downtown Carver will have for, well, a long time). The project hasn't solidified its final 2 phases, which 1) would likely include more mixing of incomes, and 2) means someone out there could push for some mixing of uses on that space. It's obviously not ideal, but we live in a world of huge compromises. Changing gears a bit, what are people's thoughts on downtown Chaska? 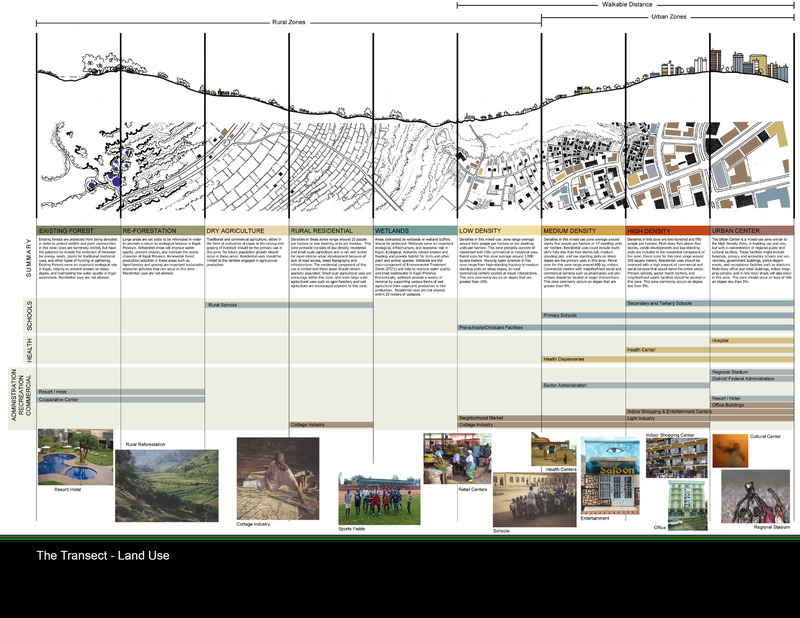 Does anyone think that, in a generation (or less), as the resurgent appreciation for "urban" places matures (i.e. as urban-loving Millennials move to the burbs, etc.) that places like downtown Chaska will see skyrocketing home values? Nick and I went there two summers ago, and I found the homes and public areas downtown to be well-maintained, but not outwardly wealthy. Chaska has really developed away from its downtown for the last 40 years, to the point where downtown might as well be a separate entity. I'm thinking that someday, with this renewed focus on walkable areas and preferences for "traditional development" aesthetic, the home values in downtown Chaska could someday eclipse the "suburban" parts of Chaska, and downtown could become an extremely wealthy enclave, akin to a Wayzata or something like that. Like if I was going to live anywhere in Carver County, for work reasons or whatever, I'd almost certainly want to be in downtown Chaska. Does Chanhassen have (had?) a traditional downtown anywhere? There appears to be a semblance of a street grid on 78th Stroad, but no traditional development that I can find. Is there an early 20th Century neighborhood hiding in there somewhere? Chaska, Victoria, Waconia, and to a lesser extent, Carver all have traditional downtowns. It's really too bad that most of the 'burbs in Hennepin & Ramsey Counties do not. And it's doubly bad that some existing traditional downtowns were completely ignored or negated by the suburban development around them. Osseo, for example, should be the booming downtown of the entire Maple Grove / BP area. Instead we have 4 fake main streets in MG. Even our worst sprawlsville suburbs would be much more tolerable if they connected to and benefited the nearby areas of traditional development, rather than completely ignore them. Other metro areas seem to have suburbs that actually center on the old traditional towns, rather than make them irrelevant. I wandered through Chaska with my camera a few years back -- yes, they have a fairly nice downtown, and it would be near the top of my list if I had to work somewhere out that way. I found it to be an interesting contrast to the newer developments in the old "Jonathan" area -- I'd initially headed out to Chaska to check out the Clover Field subdivision there, which is fairly New Urbanist in style (and actually has densities on par with or higher than much of Minneapolis -- albeit only for a few blocks). Downtown Chaska felt a lot more comfortable, though -- a broader mix of building types, and a nice city park. The railroad tracks through downtown hadn't quite been pulled up yet (curiously enough, the Jonathan area is pretty close to the Twin Cities & Western line). I see they're working on reconstructing the downtown streets/sidewalks with bumpouts at intersections -- doesn't look like they've hit the business district yet, though. twincitizen wrote: Other metro areas seem to have suburbs that actually center on the old traditional towns, rather than make them irrelevant. You don't mention any specific locations, but most of the place that I can think of that match your description were suburbs that are served by commuter rail, and have been for most of their history. This is why I like Excelsior as well. Sure has some major affluence, but it's still centered on keeping main street alive and bringing in new business while at the same time preserving the past. However, my only extensive experience in this regard has been with Northfield, where new residential in downtown hasn't had much interest or success. There was a moderately successful 55+ complex on the south edge of downtown, but the largest mixed-use development (The Crossing) fell flat on its face, and was never completed. To be clear, there are still a lot of old, traditional apartments above storefronts, but these are mostly rented out cheaply to older college students and 20-somethings. I personally know only one adult who lives right downtown. I do know there's been a lot of success in Wayzata and Excelsior, but like the new investment in downtown Linden Hills, it caters only to the super-well-heeled. To sum it up, urban and suburban as a land use differ from urban and suburban as a municipal designation. This is the same reason why people in New Ulm balked at my claim that New Ulm is urban. Even though it's far far away from Minneapolis! We really need to clarify language that "suburbs" (place) != "suburban" (land use). Yeah, the only down side to Chaska's downtown is 41 cutting through it (like most historic town centers I suppose). It wouldn't be so bad if it wasn't such a constrained right of way exactly where some of the best commercial spaces are. 4-3'ing it would do wonders while adding some sidewalk space for people. But beyond that, it's a great little layout with a nice park and pretty much all the amenities you would need (seriously: 3 grocers, a hardware beyond the stroad, multiple day cares, banks, post office, diners, shops, etc - one could definitely get by) beyond your job, assuming you don't work at one of the many shops in town. It's not inconceivable for SWLRT to be extended out to here using the old RR ROW. (http://www.ajfroggie.com/roads/minnesot ... thwest.htm), maybe with lower frequencies but still high enough to serve all those regional job sites along SWLRT. Anyway, yeah. It's a very nice town, providing all the urban benefits of a S Minneapolis neighborhood, just without the proximity to a bunch more stuff more dense places typically have. I'd actually be curious to see how expensive a single-track extension to Downtown Chaska would be for SWLRT. It would probably be a 10-13 minute run if the train could run at 60 MPH (seems reasonable given it's an old RR corridor). With full single track, it could be the terminus for maybe two trains an hour (30 minutes out and back to Mitchell) and could serve a few more directional trains during rush hour. Or, with an interim stop or siding, it could have even higher frequency. Seems like a much better use of $125 million than a tunnel in Kenilworth... Chaska, an actual walkable node and the county seat of a metro county, seems like a worthwhile terminus for a regional service. Heck, if it was using the old Minneapolis & St. Louis ROW that touches Old 101 / Old 212, then they might as well split with a branch to Shakopee too (another old walkable town that's a county seat). This could have been done in place of the four-laning of 101 that MnDOT just spent $54 million on last year. 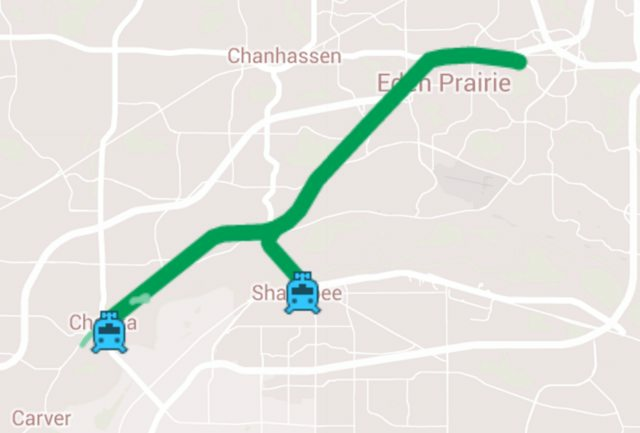 If we're going to do "regional" LRT, I'd rather see it connect places like Chaska and Shakopee rather than simply park & rides. It could branch to both, which would not provide high frequency service to either but half hour all day service would be a game changer for both towns. I believe the RR ROW through Chaska has been purchased by Carver County for repurposing as a regional trail, with potential connection or extension of the the MN River Bluffs Trail. One of these days, I'm going to make a map showing which bridges over the Minnesota and Mississippi rivers currently have transit service. Bridges like that are natural chokepoints, so they're usually put in important places which would probably be able to support at least a basic shuttle bus going back and forth. The Highway 101 bridge to Shakopee is a prime example. A major mixed-use project would bring shops, restaurants, offices, apartments, a hotel and a movie theater to Chanhassen. It'd be a real shame if the city just said yes to this instead of focusing that level of development in a place where streets, pipes, people, other businesses, etc exist. Somewhere under-utilized like this with tons of surface parking. Chanhassen just can't seem to make its mind up. Is the town's core the area north of Hwy 5 near 78th St and Market St? Is the core the newish Main Street / Pond Promenade mixed use area? Or is the core this new development? Whatever happens, at least they won't end up with four faux main streets like Maple Grove. Somewhat off topic but relative to what Nathan mentioned, does anyone know if there is one or two specific reasons why almost NO new residential developments around here are built on a street grid or at least efficiently enough so there is minimal wasted space (eg. suburbs in the Southwest like Phoenix)? I'm mostly curious about grids though. I know sight lines have a little to do with it, and if memory serves from City Planning classes crime prevention as well. What's the core of Edina -- 50th & France? Grandview? Southdale? Or SLP -- Lake St, West End, Excelsior & Grand? 50th & France, even though it's nowhere near the middle of Edina.